Do Love Me Seriously! Maji de Watashi ni Koishinasai! 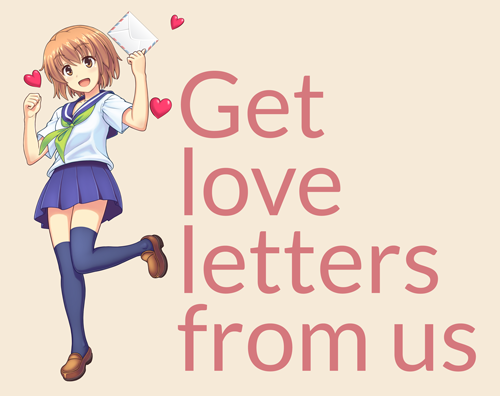 From the creators of tsundere foundational visual novel Tsuyokiss! comes the latest spiritual successor in their series of games with high-spirited heroines (and a more direct successor to Kimi ga Aruji de Shitsuji ga Ore de). Minato-soft's Maji de Watashi ni Koishinasai! is the story of protagonist Naoe Yamato, the leader of a group of compatriots who plot whatever they must do to get ahead in an academy world of combat. With a star-studded cast of over 60 voice actors with both male and female fully voiced, a TV anime scheduled to air in fall 2011, and the distinction of being the #1 best-selling eroge of 2009, this is a title that any follower of Japanese visual novels will want to check out! There is an English translation patch for this game available from Yandere Translations.